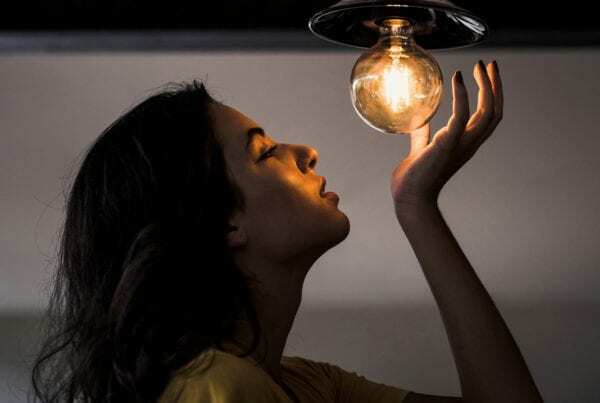 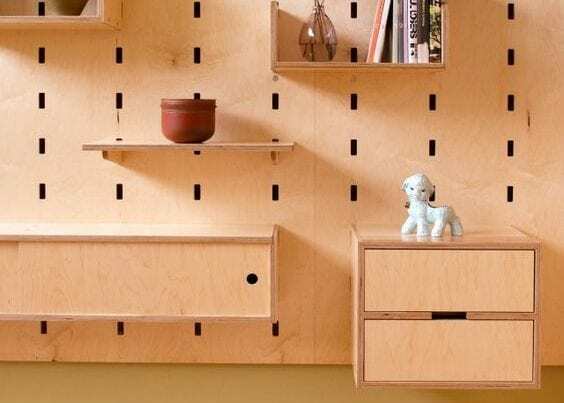 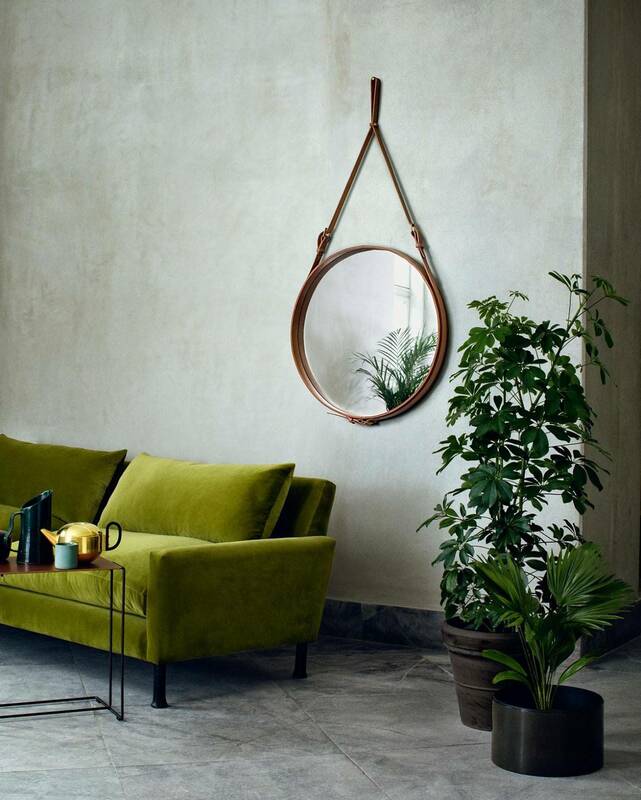 As we all know, trends come in all forms; from colour palettes to the must have home accessory. 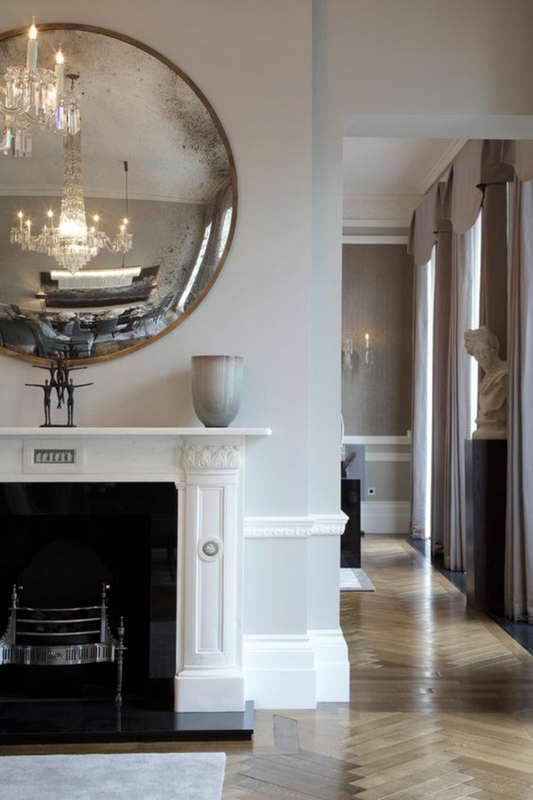 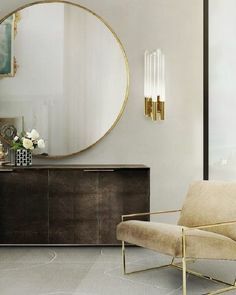 Mirrors on the other hand have always been a major player in interiors, they create light and can make a room feel double the size. 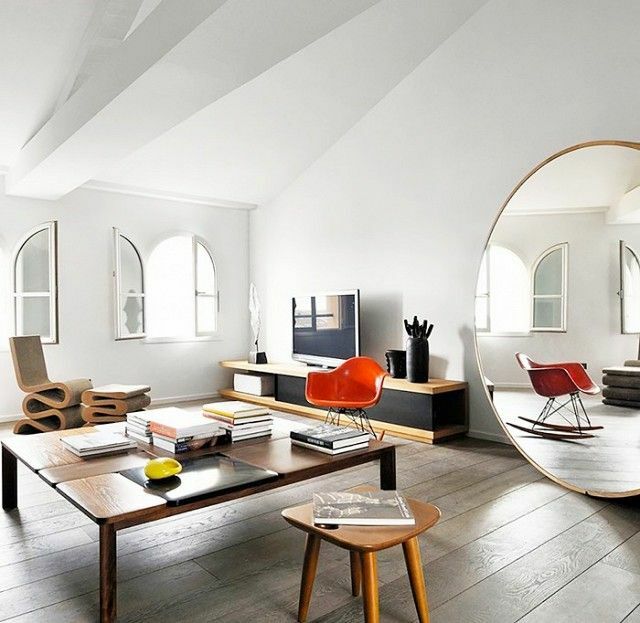 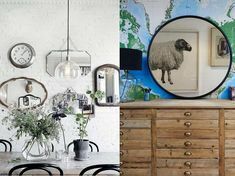 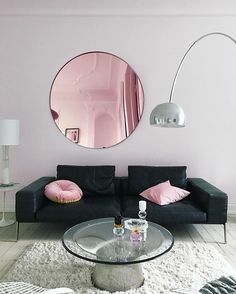 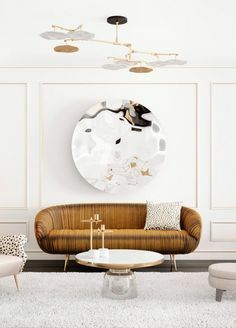 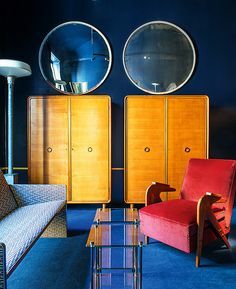 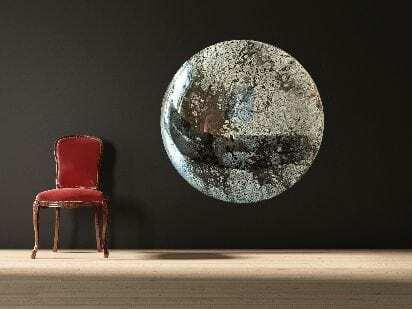 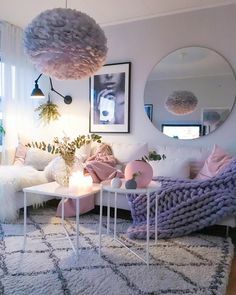 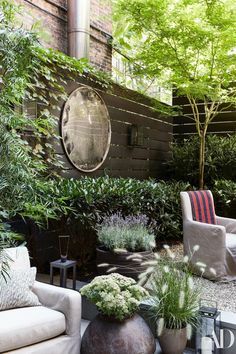 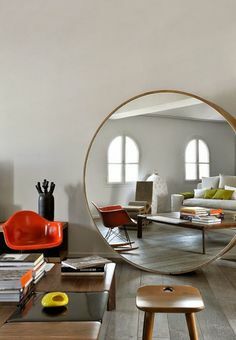 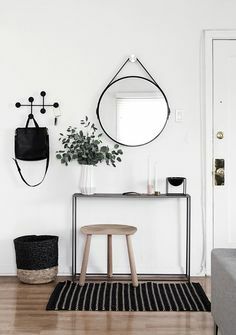 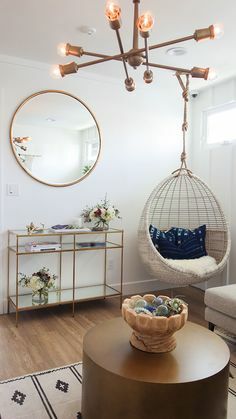 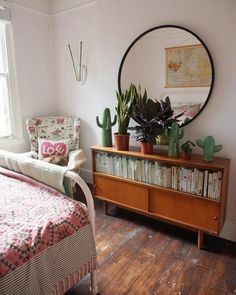 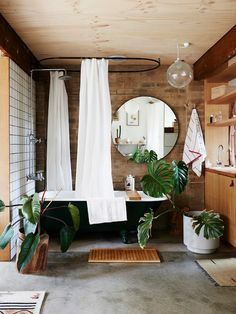 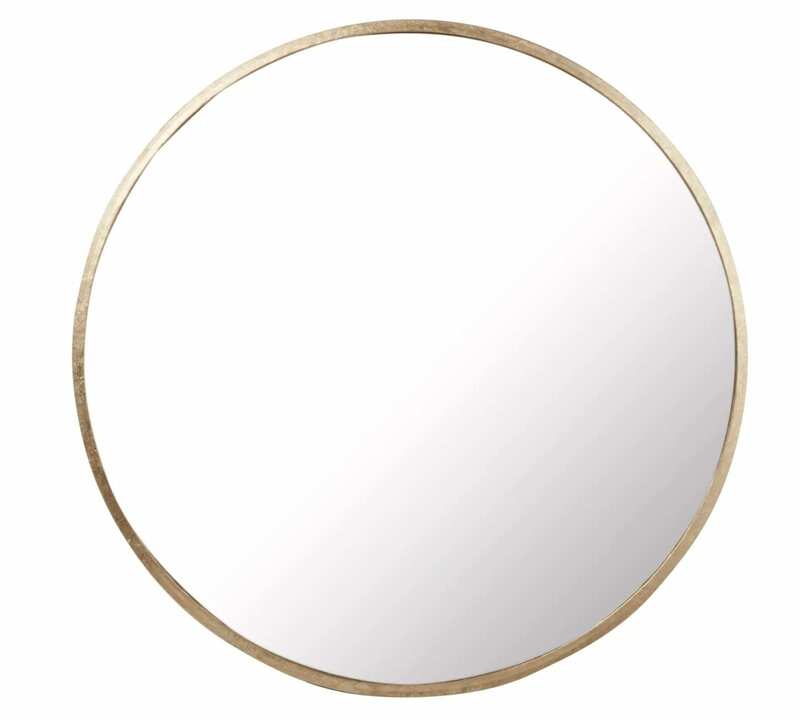 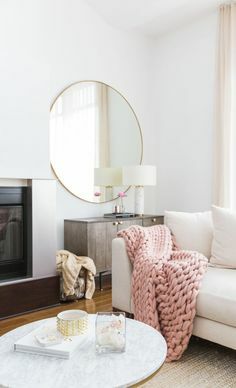 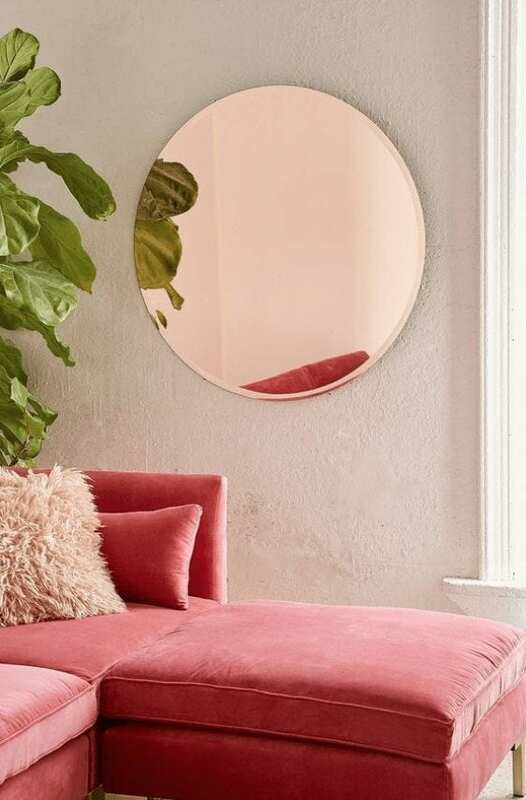 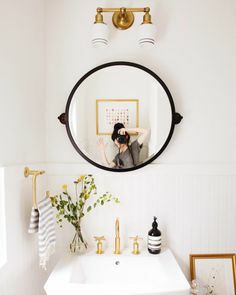 Round mirrors now an interiors must have. 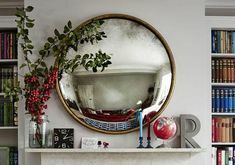 They’re popping up all over the home and we’re embracing its circler delights from the cool convex to the plain and simple. 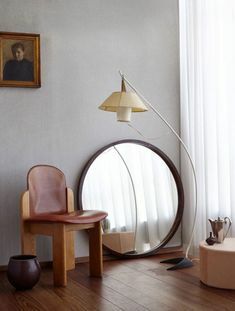 Oversized is the way to go in my opinion. 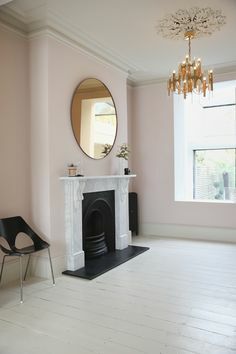 Just look at this round floor mirror. 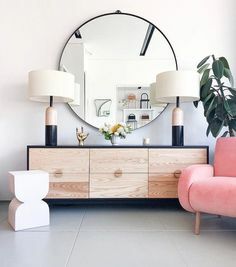 Talk about statement! 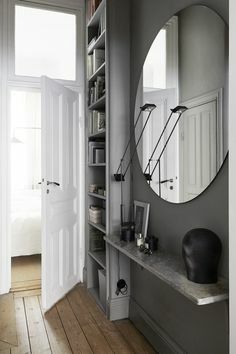 This is an extreme choice, but there are plenty of options out there to pick from . 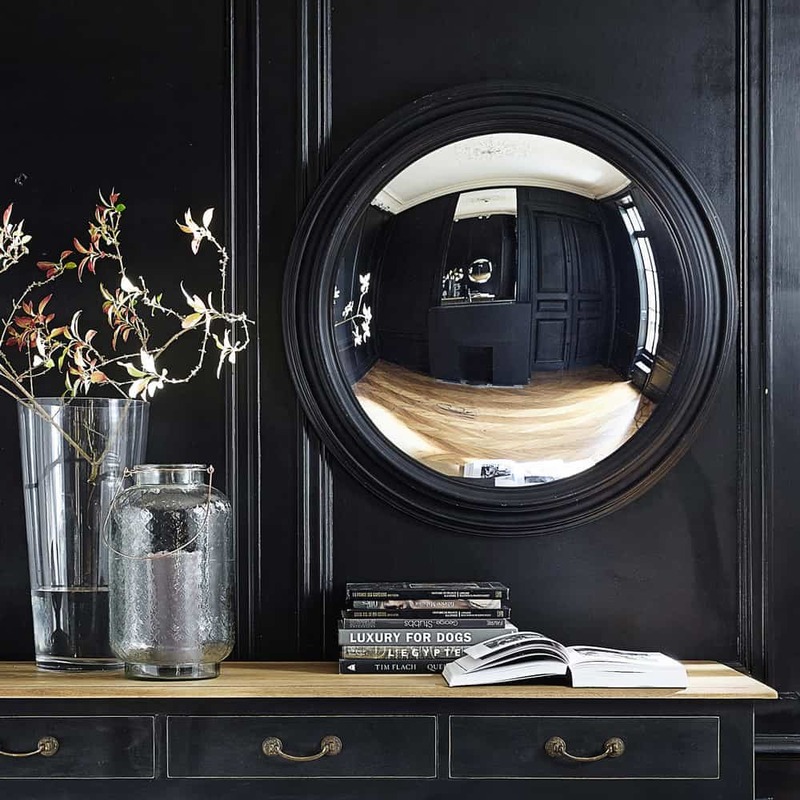 We thought we would give you a hand by showcasing a few of our favourites and where to buy. 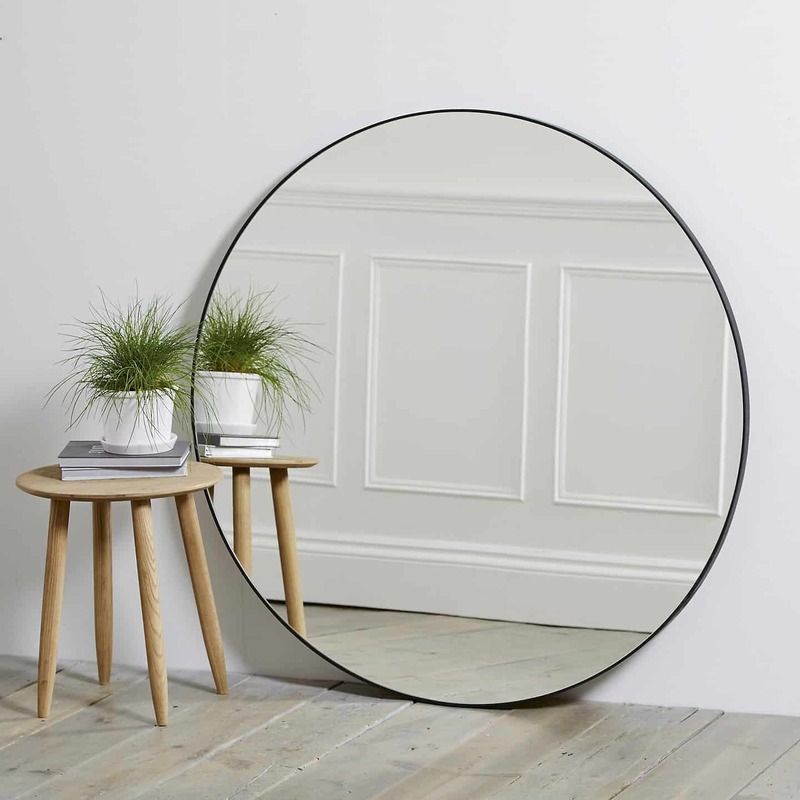 Everyone is loving the convex mirrors at the moment. 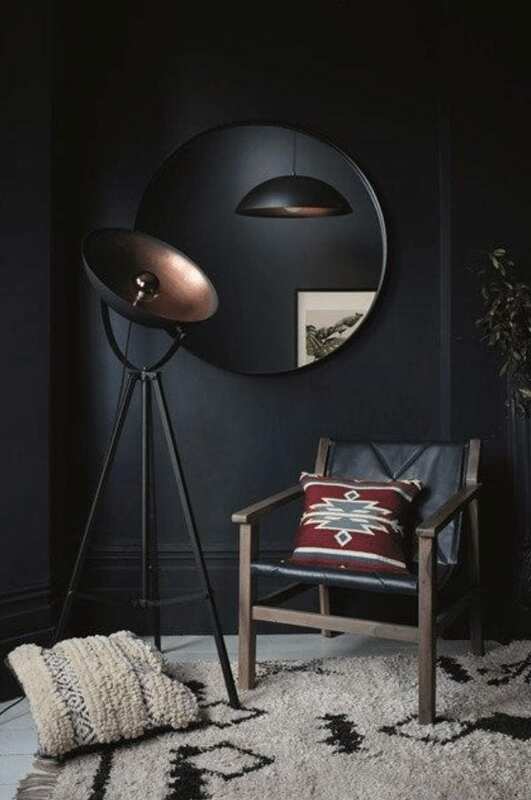 Abigail Ahearn’s black framed one is much lusted after! 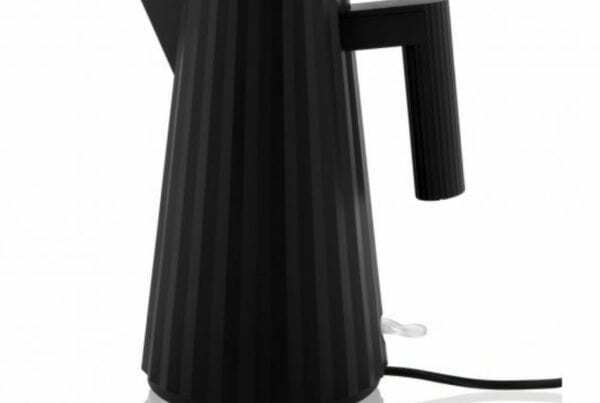 A good size one isn’t cheap, but well worth the investment in our opinion. 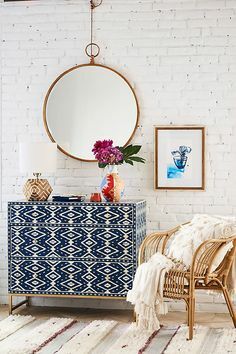 Another popular style is a distressed or aged effect. 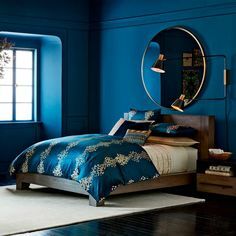 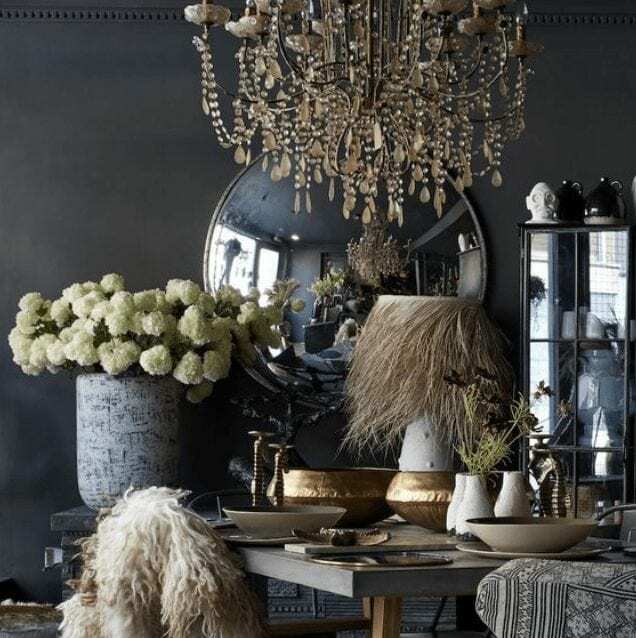 Creating a less perfect look, they’re also more visually interesting and look great in the right style room. 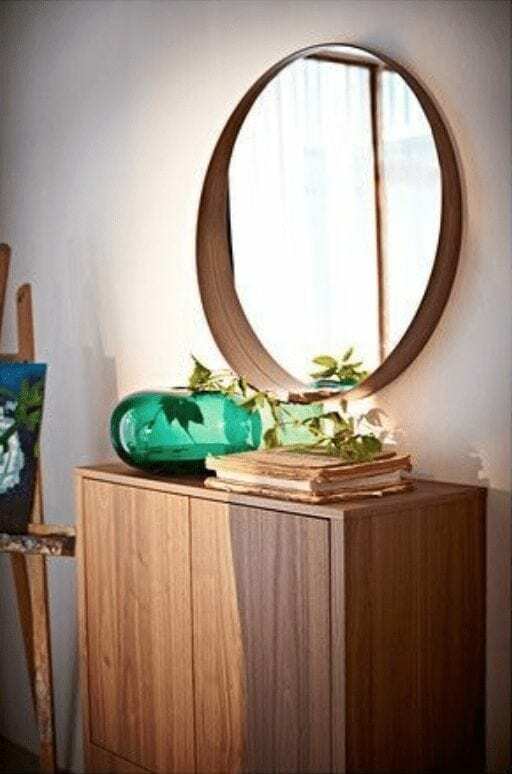 You have to check out BandsGlass!